It's time to escape the winter blues with a Las Vegas getaway. Are you craving some real excitement this winter? You’ve come to the right place! MGM Resorts is known for the biggest names, the best events and as a destination for tastemakers of all stripes. Check out our list for the hottest in entertainment this month. 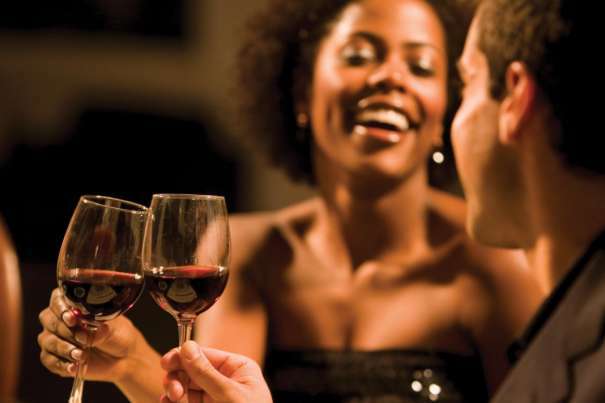 Let us help you plan an amazing Valentine’s Day with some amazing restaurant choices and spa deals. Here at MGM Resorts, you are welcome to be yourselves, enjoy what you love and make discoveries you have never dreamed of. Lady Gaga continues her residency at The Park Theater inside Park MGM on February 2. 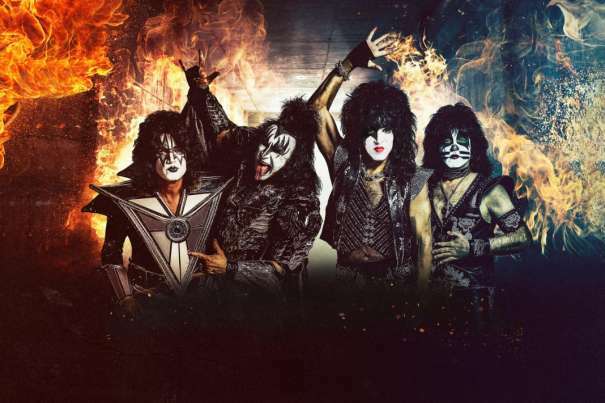 T-Mobile Arena has multiple hitmakers gracing the stage this month with King of Country - George Strait on February 1 &2, Travis Scott on February 6th, and iconic rock band, KISS on February 15. A must-see show is The Mirage residency performers Boyz II Men, who bring unstoppable energy and a show that includes amazing stories, some serious humor, and a few surprises with an up-close and personal crowd engaging experience unlike any other. The Excalibur Hotel has multiple venues you can watch the game from with party food and beverage specials on cocktails, beer buckets, and finger food bites. At The Mirage, you can reserve your tickets for The Still where you can watch the game in the ultimate man cave featuring over 50 craft beers and 27- 65’’ flat screen TVs! Also showing the game at The Mirage, is Rhumbar, which features a BBQ menu, an amazing view of The Strip and island-inspired cocktails. Call the venue and book your reservation today. New York-New York Hotel will be showing the game at Bar at Time Square, Center Bar, Coyote Ugly, and Tom’s Urban. The hotel’s concierge would be happy to book your reservation for any of these locations. Just around the corner from New York-New York Hotel at The Park, Beerhaus will be showing the Big Game as well and is currently taking reservations. If staying near Mandalay Bay, check out the viewing parties at eyecandy Sound Lounge and the House of Blues venues - B Side, Restaurant & Bar and Music Hall. 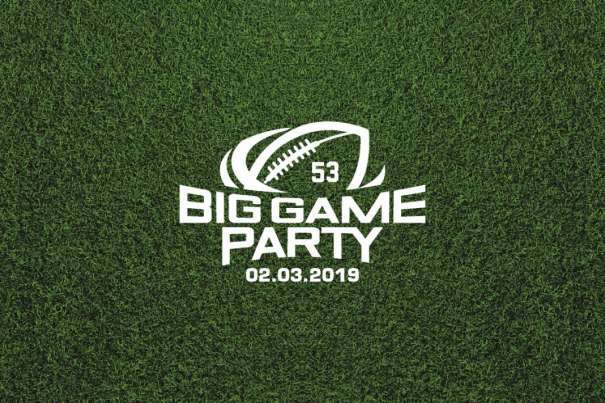 Lastly, Hyde at the Bellagio is hosting the ultimate Big Game viewing party with VIP Table Packages and Game Time Buffet. On February 1-2, Daniel Tosh will perform and host an evening of standup comedy featuring writers and comedians from his Comedy Central show "Tosh.0". If looking for a unique comedic experience, check out the VIP Packages for Ron White, where you could obtain a premium seat ticket, a photo with the comedian, VIP Access Pass and more for the February 8 or 9 performances. Host of HBO’s “Real Time”, Bill Maher will return to Las Vegas on February 15-16. Next, Bert Kreischer will share his hilarious and outrageous stories on February 17. 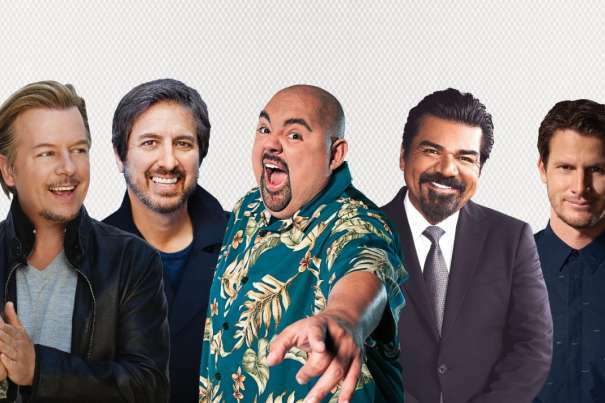 Check out the Exclusive Online Offer for George Lopez who will perform on February 22-23. Check out our list for the Top Five Romantic Restaurants to Dine on The Strip if you are looking for some great options to take out your sweetie on this special day. If staying near the Mandalay Bay Hotel, Aureole and Fleur By Herbert Keller have great menus specially reserved for Valentine’s Day. If looking for a great steakhouse, check out the Valentine’s Weekend Menu at Excalibur’s Camelot Steakhouse that features Filet Mignon and Chocolate Dipped Strawberries. Check out ARIA’s Valentine’s Day Page that features exquisite food offerings and live entertainment. Nine Fine Irishmen at New York-New York Hotel offers a unique Valentine’s Day menu featuring Crab Stuffed Shrimp, Spinach and Bay Scallop Salad, Double Chocolate Cake and more! Treat a special person to the ultimate beauty experience at ARIA this month with a beauty package that includes a polished blow dry style, a flawless airbrush make-up application and a Rescue Overnight Hair Mask to take home. Accompanying the special treatment, they will receive champagne featuring an edible hibiscus flower, along with chocolates to enjoy at home. At Spa Mandalay, once you book any of their featured Romantic Treatments you will leave with a box of chocolate truffles. 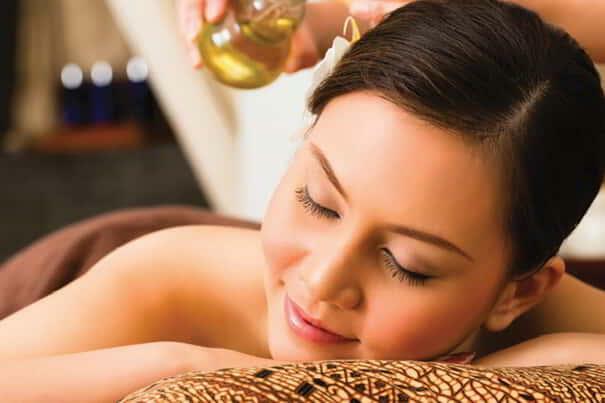 These romantic treatments feature a couples massage, coconut milk facial, couples pedicure and a Sweetheart Package that includes a combination of spa treatments.